I Wish Our Church Would Upgrade its OS. As a pastor of a well established Church it is difficult for me to watch our church “glitch out” over the demands of culture because it refuses to update and upgrade its operating system. When my laptop began to overheat a couple of months ago I realized that the worlds demands were up and leaving it behind. Heat is produced when it has to work twice as hard to handle what was no problem for it five years ago. So because it is not really an option to upgrade I have just lowered my expectations of what it can do and I have been able to manage the heat problem. I think all to often pastors like me are forced to lower expectations in order to manage the heat problems in our congregations. Rather than being able to rethink, reorganize, reprogram, update and upgrade to keep in context Churches expect their pastors to put out fires. Fires often are the result of friction from the inability to communicate effectively. I would love it if we could reimagine our church’s mission and context in light of the reality and nature of cultural changes every 5 years or so. Are we connecting with our community? Are we connecting with each other? Are we connecting with Christ? Or are we still running on Windows 98 in 2014? 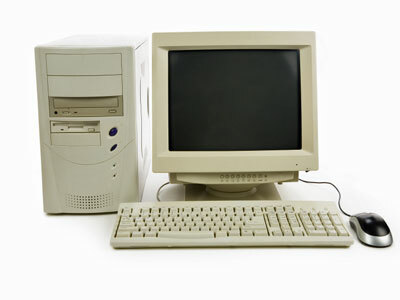 When I first came to our little church we had this computer in the back running Windows XP and it had never been connected to the internet. I expressed it was time to get a new computer but after a little “heat” from that idea I decided to get on the internet and update her. It took three days to fully update. I explained that this was the technological equivalent of taking a Ford Model T on a modern freeway but what do you do, right? I lowered my expectations and felt less heat. In some ways we can learn from our church computers there are two ways to avoid the heat for awhile. One way is to stay plugged in and updated to meet expectations and the other is to unplugged and lower expectations. I would love to upgrade to “Windows Vista” right now but that might be expecting to much. So I pray and wait expecting God to work in his time. He let’s me complain and I love Him for that! 1. What is a glitch? 2. What does a glitch look like in congregational life? 3. What does a glitch teach us? 4. 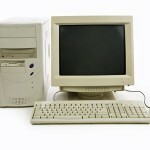 What is your church Operating System? 5. How can you update an OS? 6. Have you checked your compatibility? 7. Is it time for an upgrade or a different OS? What chapter ideas can you come up with?